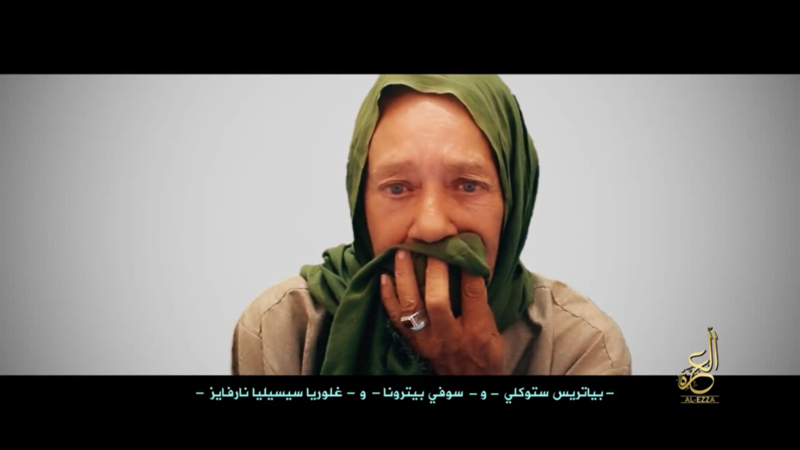 The Group for Support of Islam and Muslims (JNIM), al Qaeda’s main entity in West Africa, published a video showing the six foreign hostages that remain in its captivity. The video comes only one week after Swedish hostage Johan Gustafsson was released by the group. The video, produced by Al Ezza Productions, which is a new production outlet for JNIM, begins by quoting al Qaeda leader Ayman al Zawahiri. “Security is a shared fate. If we are secured, then you may be secured. And if we are safe, then you may gain safety.” In JNIM’s founding video, its leader, Iyad Ag Ghaly, swore allegiance to Zawahiri. A similar statement from Osama bin Laden is also played toward the end. The six hostages, starting with the males, are then presented individually for the viewer. Each send a message to their families and respective governments asking for their help in their release. It is unlikely that the hostages are held together. Stephen Malcolm McGowan, a South African, was was kidnapped in Timbuktu in 2011 alongside three other people. One hostage, a German national, was killed by al Qaeda in the Islamic Maghreb (AQIM) gunmen as he tried to resist. 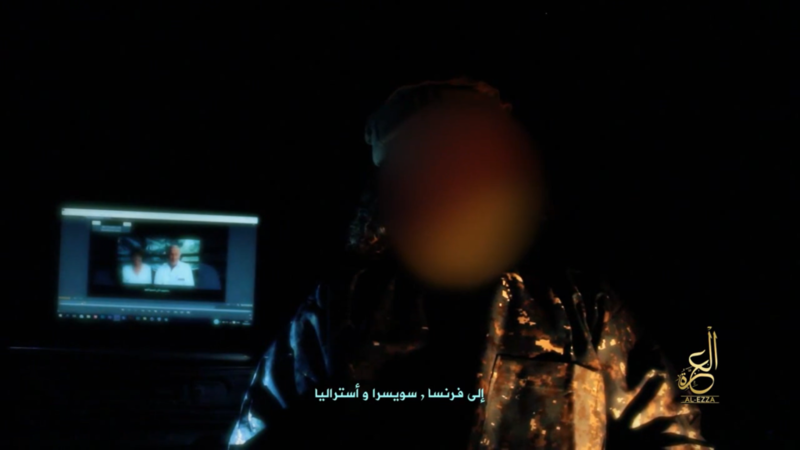 Another captive, Dutch national Sjaak Rijke, was freed in a French special forces raid in April 2015. 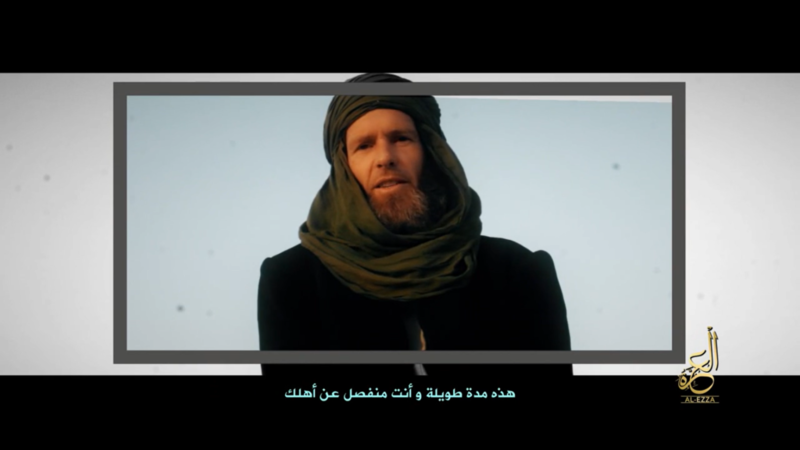 The third, Johan Gustafsson, was freed by JNIM last week. Ken Elliott, an Australian doctor that had long operated in northern Burkina Faso, was kidnapped alongside his wife in the country in Jan. 2016. The group would later release his wife, but Ken remains in jihadist custody. In April 2015, Al Murabitoon, which is now part of JNIM, kidnapped Romanian national Iulian Ghergut also in Burkina Faso. In Mali, al Qaeda militants kidnapped Swiss missionary Beatrice Stockly in Jan. 2016 in Timbuktu. 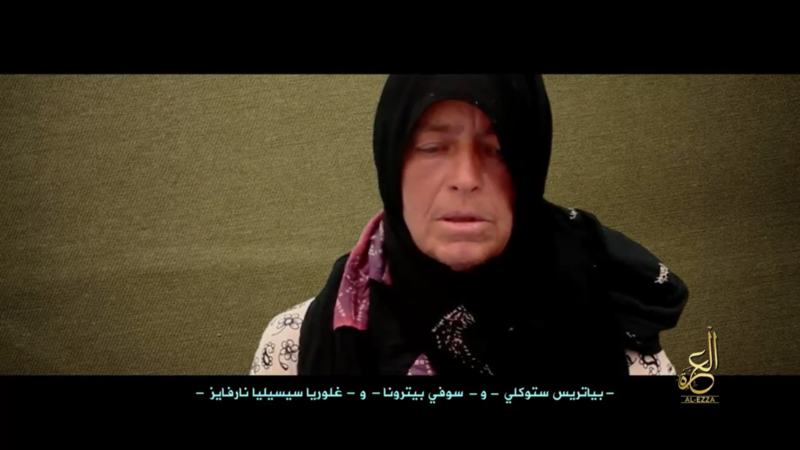 She was previously captured in 2012 by al Qaeda in the Islamic Maghreb (AQIM), but released on the condition she would never return to the region. The English narrator purports she was kidnapped again for breaking this condition. Two previously unclaimed hostages are also shown, this includes Colombian nun Gloria Navarez and French humanitarian Sophie Petronin. 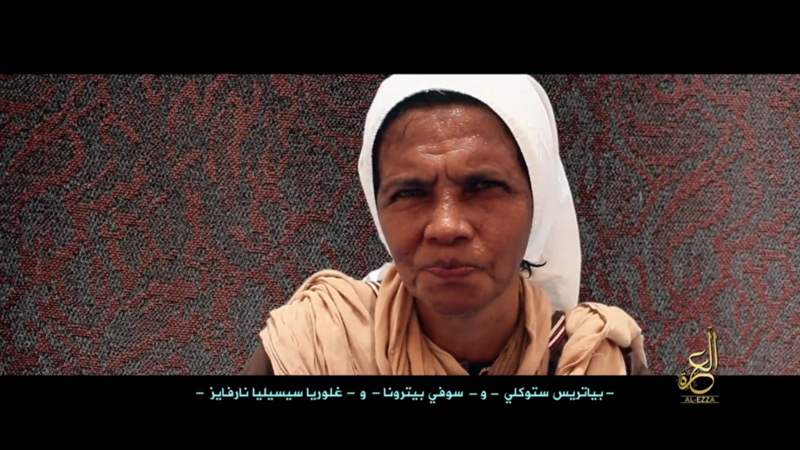 Navarez was kidnapped in Karangasso in the Sikasso Region of southern Mali in February of this year. Petronin was abducted from Gao on Dec. 24 of last year. 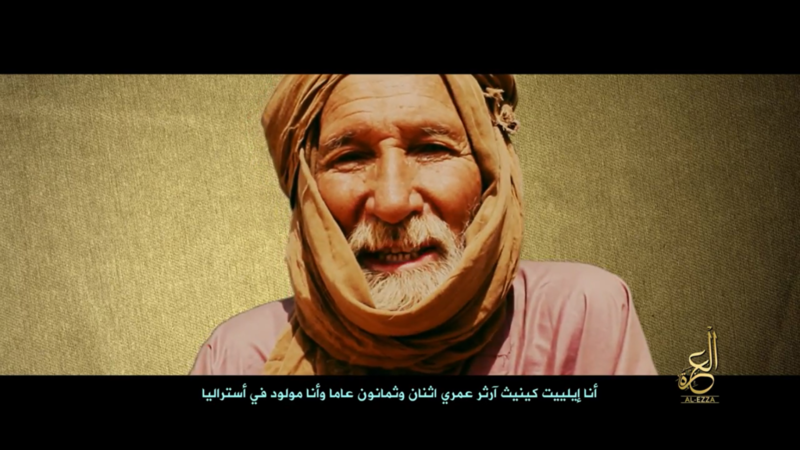 Navarez was taken for “supporting the crusaders in Mali by preaching Christianity,” according to the jihadists. At the end, the English narrator is shown, albeit with his face blurred. He warns the families of the hostages that they would be better off negotiating with the group directly, as allegedly no progress has been made via third parties. 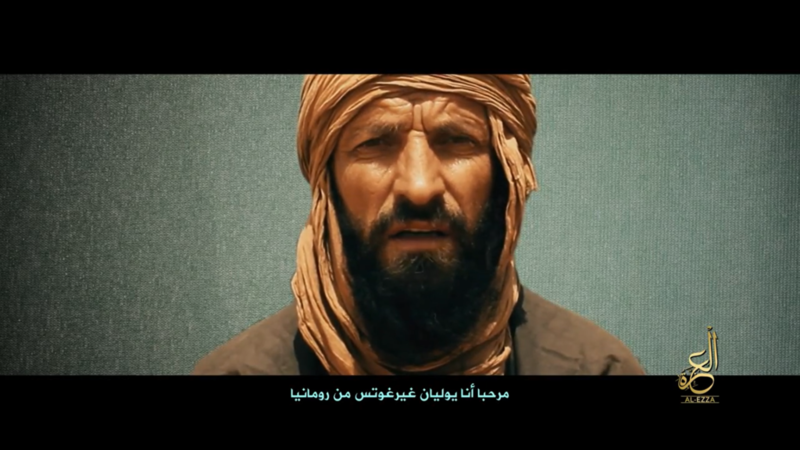 No mention is made in the video of the Malian soldiers currently in its captivity or of Jeffery Woodke who was kidnapped by presumed jihadists in Niger last year. In the past, AQIM has made millions of dollars by kidnapping foreign nationals across the Sahel. For example, in 2013. four French hostages were released by AQIM after being held for three years; it is speculated that a ransom of 20 million Euros was paid to free them. In other cases, AQIM has negotiated prisoner swaps with French troops in Mali for other prisoners. Hi Caleb, thanks for this thorough report. Do you know what Dr Elliott and Beatrice said to their families? I haven’t been able to track that down. Thanks. How many of these critters just get made in the middle of the night…..JNIM, ABC, XYZ, ALLAH KILLERS, SHARIA CRAZIES etc etc. Got to hand it to these creative Zombies. At some point these people must take responsibility for their actions. Especially if you’ve been kidnapped once just to go back into the mouth of the beasts. Then to state that your discouraged at your governments inaction on your behalf to get “Released” …one has to wonder…obviously your concerned with the plight of others…but not at the price of having soldiers or others risk their lives to come and save you. Take responsibility for your actions and accept your fate.